Nickel Fits up to 1" diamter rod. Set of seven. Design by Umbra Design Group. 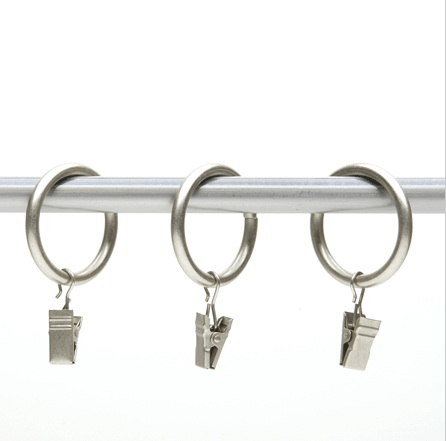 7 plated steel rings per set with heavy duty spring tension clips.